Surrounded by land on many sides, Mediterranean sea is the main source of seafood for the Southern Europe and Western Asian countries. 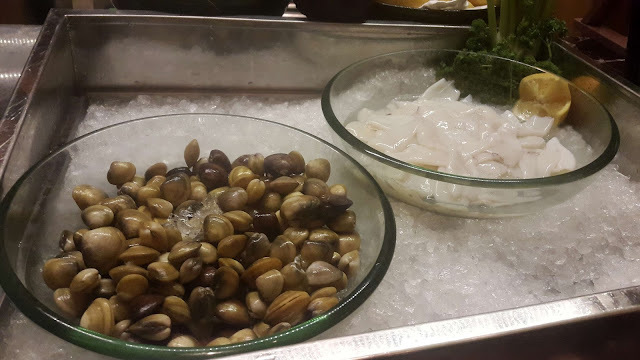 The Mediterranean Seafood Festival at Sheraton Bangalore is centered around this theme and is hosted in both their restaurants Persian Terrace and Bene. The special offerings have both set menu and a-la-carte grill options. The set menu is priced at Rs 2500/- for a 4-course meal with an appetizer, soup, main course and dessert. The wine lovers can also opt for their select paired dishes which comes with a helping of Sauvignon Blanc or Chardonnay. As the items offered in the set menu differ quite drastically in both the restaurants, it is advisable to have a look at both the menus and make a choice based on what would suit the palate more. Other than the set menu, one can also waltz around to the fisherman's market and pick fresh produce to be conjured up and grilled Greek or Persian style. 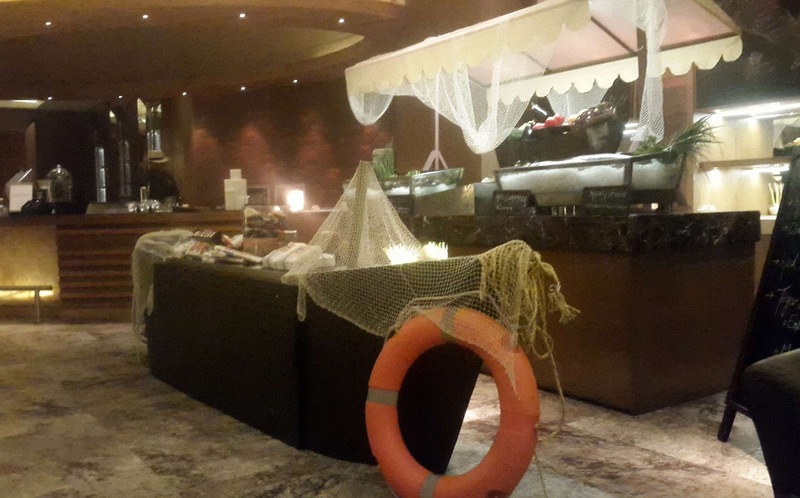 The decoration has changed in Bene and Persian Terrace to suit the seafood festival. The normal table mats have given way to pseudo fishnets and then there is a small fisherman's market inside Bene. The fisherman market offers a wide variety of prawns, crabs and lobsters along with fish like Red Snapper and King Fish which can be grilled or made into a pasta and served as part of the festival fare. The daily catch is dependent on availability and the items on display change on a daily basis. The tasting menu offered to us was a combination of the Italian and Persian seafood cuisine. My last Italian experience at Bene with Chef Giuseppe was excellent, so, naturally the expectations were high. The Persian seafood dishes on the menu intrigued me as I was not very sure what to expect. We started off with the Persian Watermelon, Prawn and Feta Salad. I absolutely adore the watermelon-feta combination in salads as they quite richly complement each other, one being sweet, the other a touch salty. Add cold prawns into them and the combination is quite delicious. 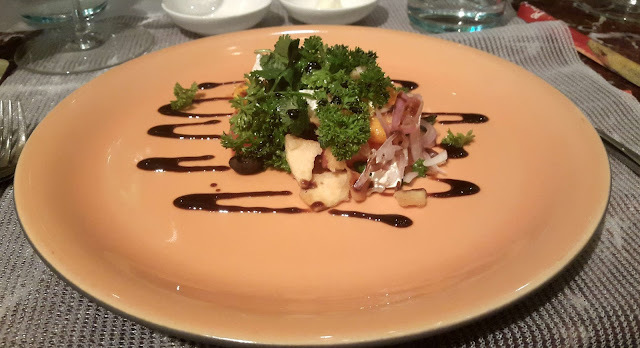 The salad also had papdi in it which made it taste like an Italian chaat. Served in a small green pot, the Spanish Garlic Prawns up next was piping hot. Paired with Nederburg Sauvignon Blanc, the prawns were delicious and were polished off the plate within minutes. 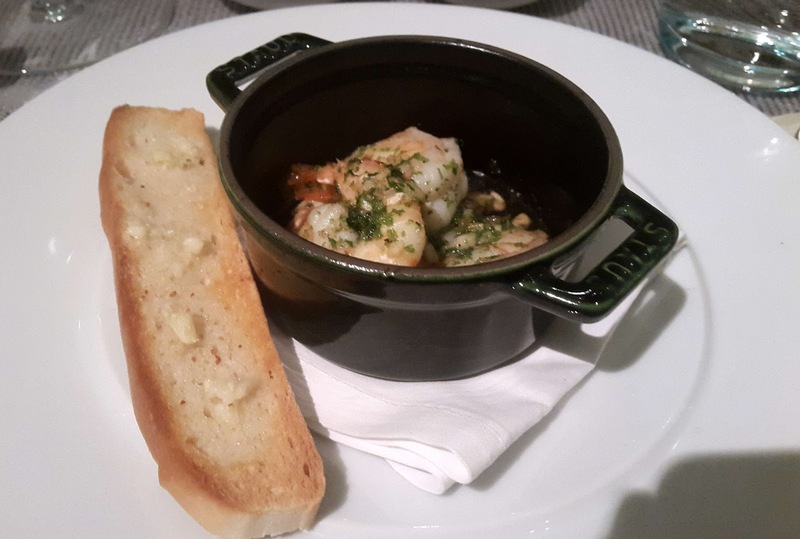 The other appetizer on offer from the Italian cuisine was the prawn based Gambas Al Pil Pil. After the starters, we moved on to the soups. 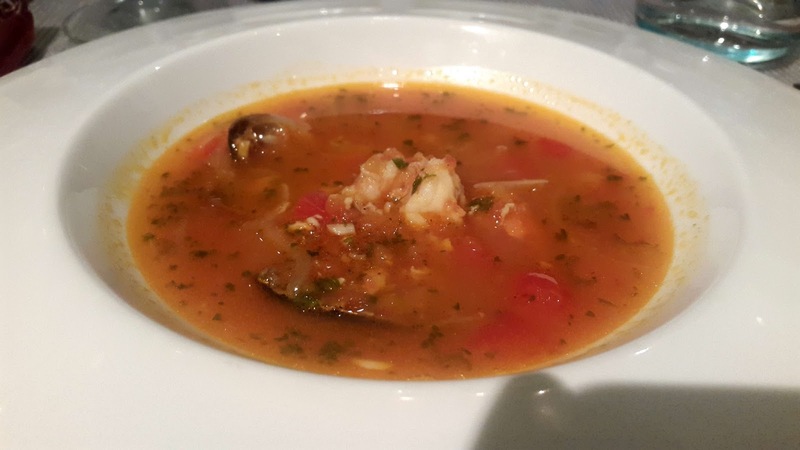 The Italian speciality was the Market Seafood Soup, a tomato based broth which was loaded with seafood like prawns and seashells. The soup had a subtle flavour and went well with the focaccia bread kept on the table. The Persian soup - Ghalieh Mahi, was a Persian herb and fish soup. Although the presentation of the soup in a small cup impressed all, the soup had a strong taste and flavour which didn't quite suit my palate. The main course was laid out after the soup bowls were cleared. 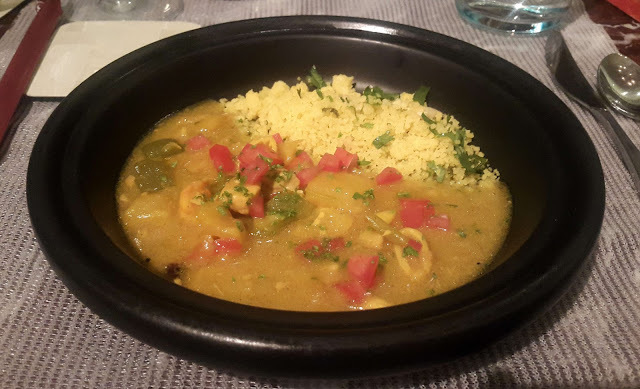 The Persian dish up for grabs was the Mediterranean seafood served with couscous. Though not quite common in India, the couscous finds a dominating presence in the Israeli and Moroccan cuisine and is the staple accompaniment to curries. 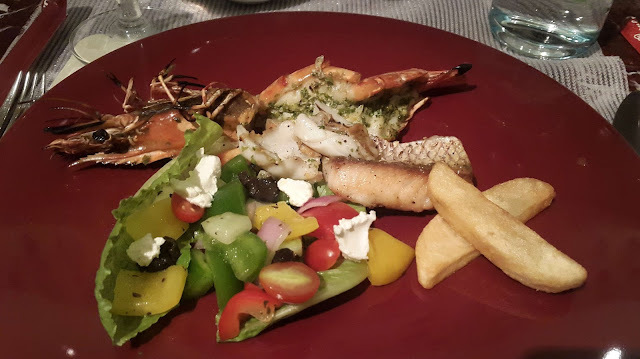 Mixed Grill of Fresh Seafood with Greek Salad and Crusty Bread was the other offering in the main course. 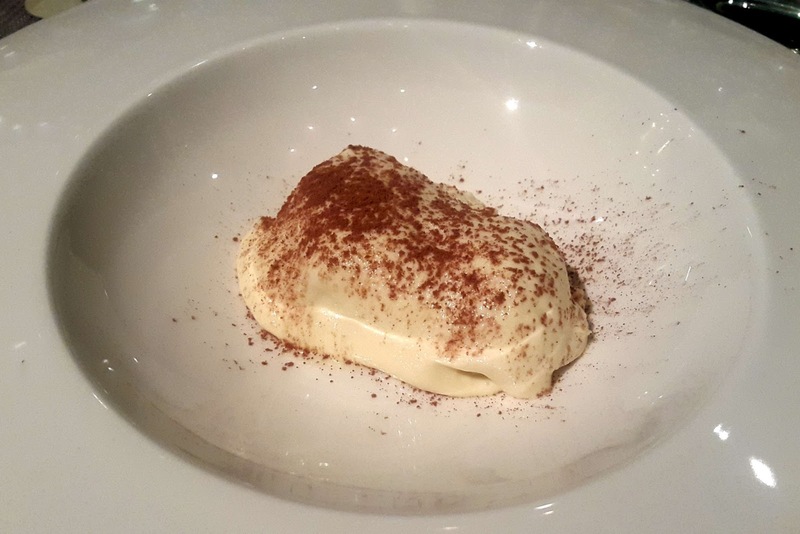 For desserts, we ended with the creamy coffee flavoured Italian dessert, Tiramisu, which is a must try in Bene. The seafood festival is a culinary journey through the Italian and Persian cuisine, one which for sure will leave you enthralled.